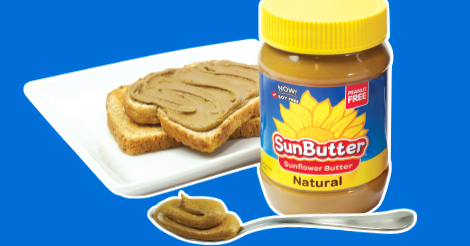 Thanks to SunButter® Sunflower Butter for this great guest post! The fall season is ripe with classroom and team festivities including fall class parties, Halloween, baseball and soccer games, and more. Approximately two kids in every classroom have a food allergy, so parents need to be careful when bringing treats for school and team activities. Check out these nut-free snack ideas and planning tips that will help keep kids with food allergies safe, and make for a simple, stress-free season of fun! 1.SunButter® Sunflower Butter: Delicious, filling and free from the top 8 food allergens including peanuts, SunButter is a must-have allergy-safe snack for schools and teams – and it’s available in convenient On the Go Single Cups. Spread it on rice cakes topped with fruit or chocolate chips, add it to healthy greek yogurt, dip pretzels in it and chomp down . . . the ideas are endless! Find more delicious and fun SunButter snack recipes here. 2.Popcorn & Sunny Chow: A top allergy-safe pick for parents and kids is popcorn! Versatile in flavor and easy for kids to eat, popcorn can also be jazzed up with melted chocolate and SunButter for an extra delicious treat. Get the recipe here. 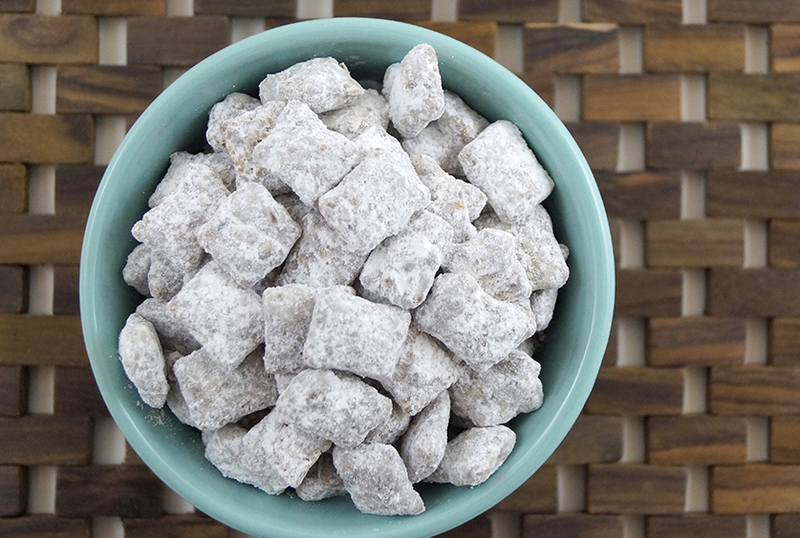 Sunny Chow takes it to the next level with a nut-free take on the kid-favorite “Puppy Chow.” Rice Chex or Crispix cereal coated in creamy chocolate and SunButter and dusted with powdered sugar can easily become a class party must-have. Get the recipe! Bonus idea: Worried that kids and parents will think your snack contains peanuts? SunButter offers fun stickers to show your snack is peanut free! Get the stickers here. 3. Mini Muffin Brownie Bites: A kid-approved favorite, nut-free brownie bites are an allergy-safe alternative to other go-to party pastries that are often processed in facilities that also process nuts. Ripe bananas, SunButter, vanilla and chocolate chips make this healthy, bite-sized treat perfect for handing out at classroom and team parties. Find this and more great recipes in the SunButter Snack Recipe book. 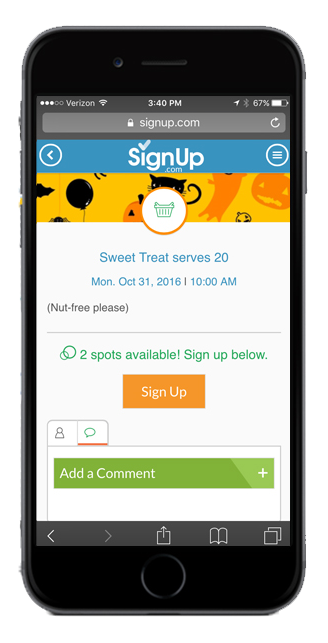 1.Disseminate allergy information and food guidelines: Does your child’s classroom only accept store-bought snacks? Are there nut allergies and dairy allergies among your team players? Ask the important questions from your teacher and coach at the start of the school year or season and make sure to include these reminders for parents on all communications – emails, newsletters, SignUps, social media, etc. 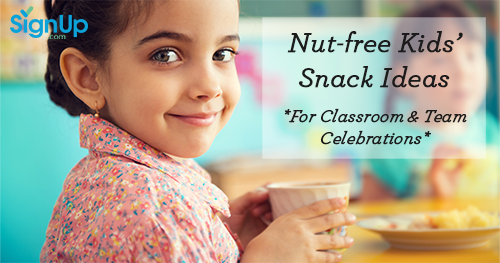 Find a free, downloadable “Nut-free Classroom” sign to post on your teacher’s wall, here. Visit the SunButter School Safe Resource Center today!